AC Milan centre-back Alessio Romagnoli is a target for Juventus in January. 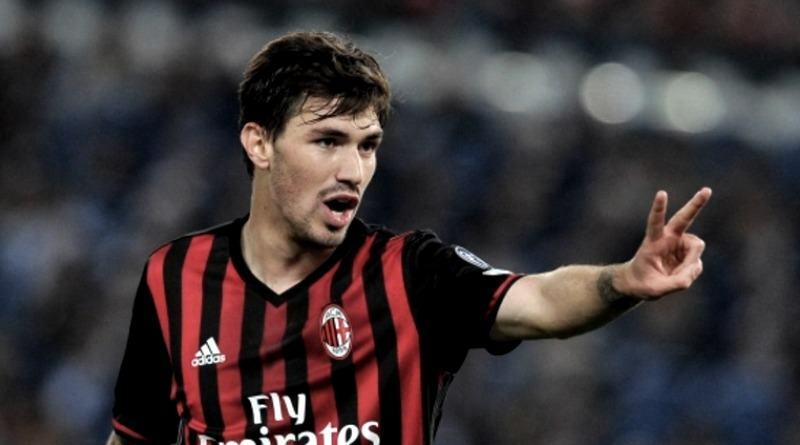 According to the football transfer rumours in Italian media, Juventus are linked with surprise move for AC Milan defender Alessio Romagnoli. The Italy international was signed by AC Milan in August 2015 from Roma for a fee of 25 million euros. The 22-year-old has a valid contract with AC Milan until June 2020. Romagnoli has played 84 times for AC Milan since signing from Roma, scoring five goals and creating one assist in that time. The 22-year-old is considered to be one of the best centre-backs in Italy. Alessio Romagnoli has represented Italy at Under-16, Under-17, Under-19 and Under-21 level, winning 36 caps and scoring one goal, before making his senior international debut in October 2016. As a member of Italy national football team, Romagnoli has won five caps. Adding a centre-back remains Juventus’s top priority this winter and Massimiliano Allegri will have drafted a shortlist of a number of possible targets he could approach in the coming weeks. Allegri has always been a manager who keeps his eyes on the most talented young players in Italy. The Italy international is thought to perfectly fit the profile of defensive player Allegri wants to target in the winter transfer window. According to the report in Italian media, Juventus are interested in signing Alessio Romagnoli. He is considered to be one of the most promising players of Italy’s new generation, and was the subject of a rumoured 50 million euros Antonio Conte offer in the summer of 2016. Though his strong opening season with AC Milan, Romagnoli has yet to play particularly well this year, though manager Montella’s departure may have something to do with it. It will be interesting to see what happens when Juventus come calling for Romagnoli in January.